Most of my browsing so far has taken place online and although I have had a few bad experiences with dodgy sites, luckily I haven't ordered from any of these. As much as I love the internet, I thought it would be a good idea to try on some dresses to get an idea for the shape, styles etc. I liked. Hope you enjoyed the video! 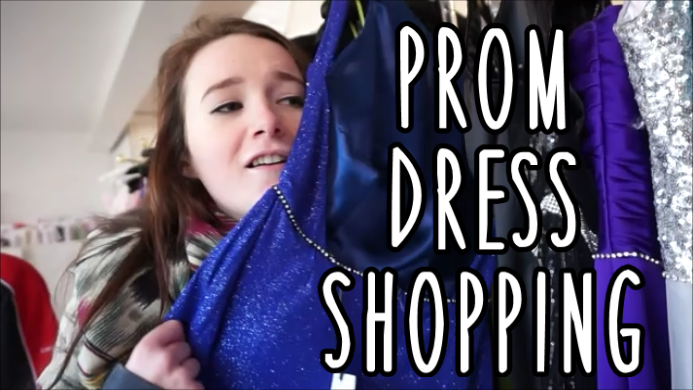 Are any of you preparing for prom? What type of dress are you looking for and have you found any good stores/sites? Let me know in the comments :) clicking here! P.S. you can subscribe to my YouTube channel by clicking here!